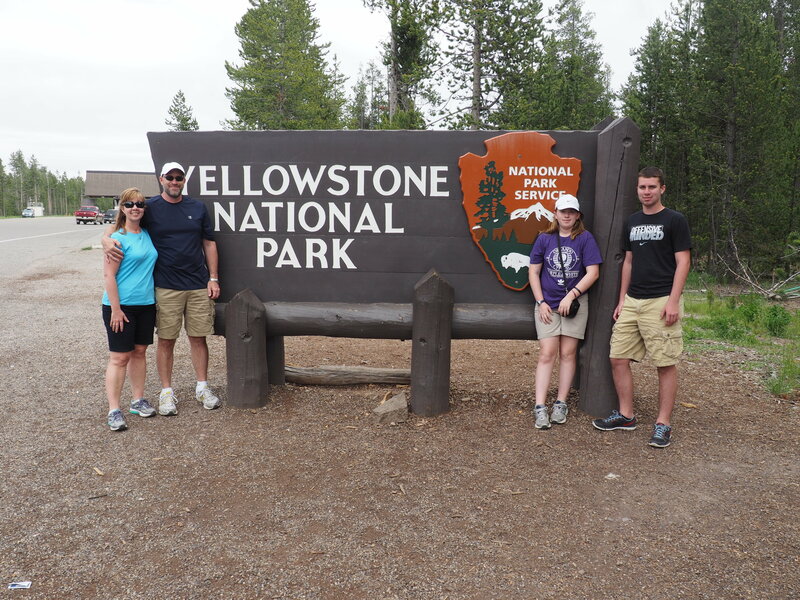 We visited Yellowstone National Park in June after a stop in Jackson, WY and a tour of Grand Teton National Park and then a detour through parts of Idaho. There is so much park to see and even though you only see literally a tiny fraction of its 2.2 million acres by staying on the paved roads that loop around the park, we figured that was our best option to see as much of it as we could. Let me start off by saying that I had expected to encounter traffic jams, but the longest line we waited in was the line for the restroom at the Grand Prismatic Spring (wait time: ~30 minutes!). In talking with some other folks, the lack of congested roads and turn-outs is definitely not the norm, so I suspect we hit the park just at the start of the season before the massive crowds came. The ranger station at the park entrance was great about letting us know about road construction in the park, any warnings in effect, and other things we should know before we went in. The season is short, so there is bound to be at least one area undergoing road repairs at any given time and traffic can get really backed up in those spots. Knowing where they were helped us plan alternate routes in most cases. I will also say that I don’t think I’ve ever seen so many people with selfie sticks gathered in one place before or so many people doing incredibly stupid and dangerous things that smacked of a complete lack of common sense (and inattention to the abundance of warning signs about things that can kill you in the park). I suppose there’s a reason why they sell the book, Death in Yellowstone: Accidents and Foolhardiness in the First National Park, in most of the gift shops we popped into. Why is it that people somehow think that being on vacation insulates them from danger? Foolhardiness abounds there, but that’s a whole other post. The park is divided into several areas, so we planned our days based on areas with a few days in between to do things outside of the park. I highly recommend that you get a guidebook before you arrive in the park to help plan your days. We bought the National Geographic Yellowstone and Grand Teton National Parks Road Guide: The Essential Guide for Motorists, which is geared towards seeing the parks by car, with frequent stops at lookouts or to hike trails, or walk boardwalks to see different features. The guide was helpful in narrowing down “must see” things, and even then, it made for several long days. It’s just impossible to see it all.